Central Bank of India, United Bank of India, PNB, Syndicate Bank, Allahabad Bank, IOB, Union Bank, Dena Bank, OBC, Corporation Bank, BOB, Canara Bank and Andhra Bank were up in the range of 1% to 4%. Shares of public sector undertaking (PSU) banks gained up to 4% on the BSE on Friday in otherwise subdued market in intra-day trade, after Finance Minister Arun Jaitley on Thursday said that government will infuse Rs 830 billion in public sector banks in the remaining months of the current fiscal (2018-19). Central Bank of India, United Bank of India, Punjab National Bank (PNB), Syndicate Bank, Allahabad Bank, Indian Overseas Bank, Union Bank of India, Dena Bank, Oriental Bank of Commerce, Corporation Bank, Bank of Baroda, Canara Bank and Andhra Bank were up in the range of 1% to 4%. At 09:29 am; Nifty PSU Bank index, the largest gainer among sectoral indices, was up 0.73% at 3,073 points, as compared to unchanged in Nifty 50 index. Since December 11, in past nine trading days, PSU bank index rallied 9.5% against 4.4% gain in the benchmark index. Among various objectives, the infusion is aimed at helping better-performing banks under prompt corrective action (PCA) to come out of the category, Finance Minister Arun Jaitley told reporters. The performance will be judged on the basis of decline in non-performing assets (NPAs), uptick in the provisioning coverage ratio, and reduction in risk-weighted assets. In technical terms, these banks will be helped achieve a 9 per cent capital to risk-weighted asset ratio (CRAR), a 1.875 per cent capital conservation buffer, and a 6 per cent NPA threshold, Jaitley said. The government did not disclose the names of PSU banks but said that there will be 4-5 banks that will come out of PCA after the capital infusion. “There are 4-5 better-performing banks, which can be pulled out of PCA,” Financial Services Secretary Rajiv Kumar told reporters. He also said that strong banks State Bank of India, Bank of Baroda, Vijaya Bank and Indian Bank will not need funds, while PNB will be given capital. 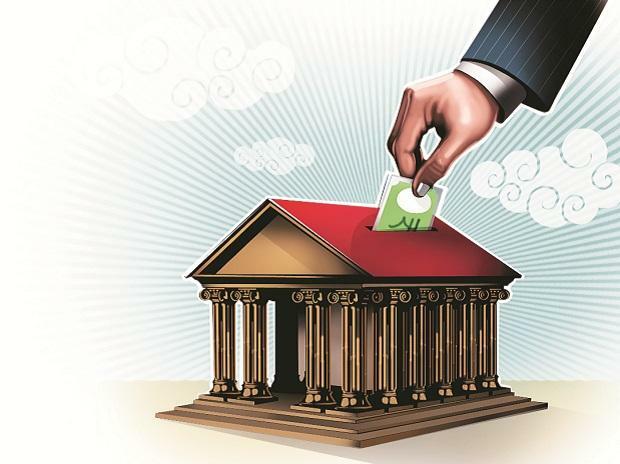 Earlier, this month, Moody's Investors Service's said outlook for the banking system in India (Baa2 stable) over the next 12-18 months is stable. The stable outlook is based on Moody's assessment of six drivers, all of which Moody's assesses at stable. The six drivers are: operating environment; asset quality, capital; funding and liquidity; profitability and efficiency; and government support.